The boundless multiverse of Magic: The Gathering returns to comics! 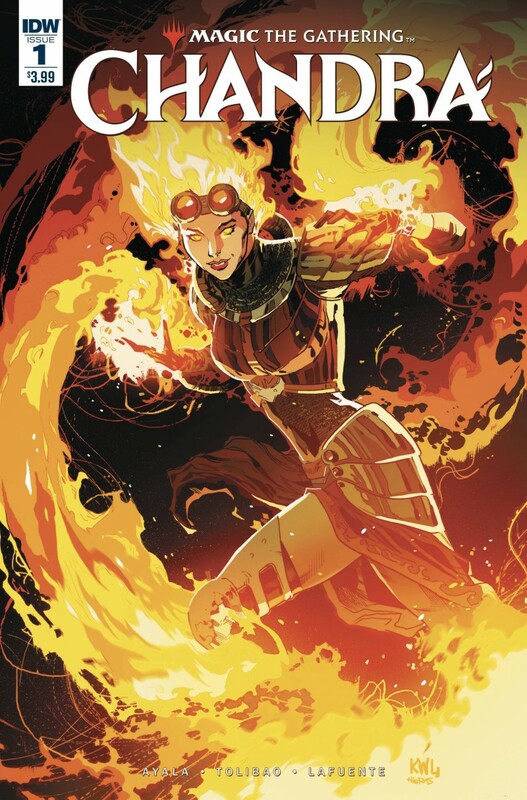 In the wake of tragedy, Planeswalker and pyromancer Chandra Nalaar strikes out on her own, looking for new challenges and seeking justice. From the towers of Ravnica to the graveyards of Innistrad and beyond, she’ll find plenty of the former. The justice she’ll have to make for herself.